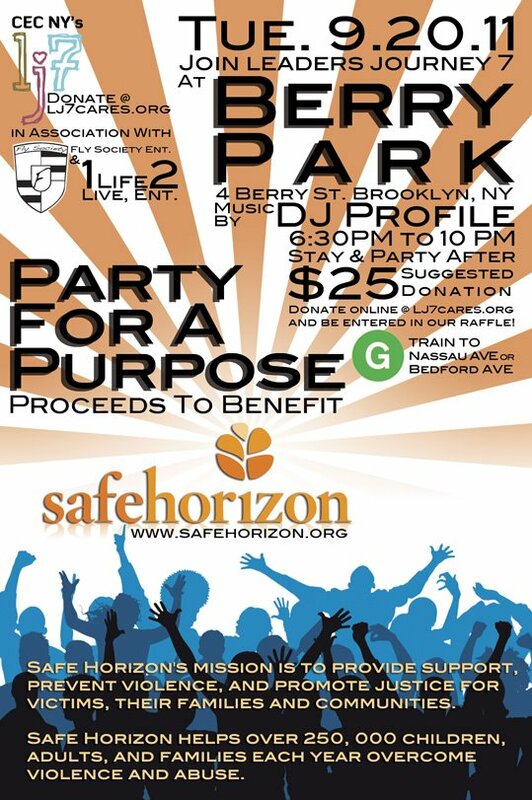 Last night some friends of mine threw a “Party For a Purpose” in Williamsburg where they held a silent auction and a raffle to raise money for Safe Horizon, a New York City charity that supports children and families that have suffered injustice or violence. There was a a great DJ and a kickin’ roof deck with views of Manhattan. Do you have a room in your home that isn’t quite right yet, no matter how many times you rearrange the furniture? Let designer Sarah Mencher come over to restyle your room and give it the feeling and function you’ve been longing for. The makeover consists of a two-hour at-home consultation and the delivery of a mood board that will suggest colors, window treatments, furniture placement, and purchases within your budget that will transform your room from “meh” to magnificent! And the winning bid was….three hundred dollars! I was shocked and amazed and so happy to have been a part of this worthy cause. I will be meeting with the winner at her home in a few weeks for the two-hour consultation and I’ll be sure to share all the details here. In the meantime, help my friends reach their goal to raise $25,000 to benefit the children and families at Safe Horizon – they’ve already raised almost $15,000! Donate online: lj7cares.org. This is really cool Sarah. Great contribution and good experience for you!